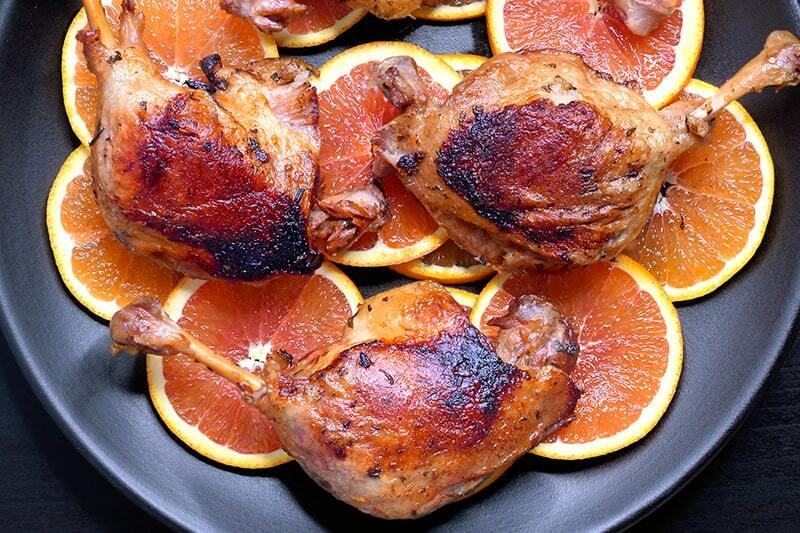 Who’s ready for some Instant Pot Orange Duck? If you ask me to pick a bird to prepare for dinner, I’m always going to choose duck. Trust me: You have not lived until you’ve experienced the pleasures of fatty, crispy duck skin giving way to perfectly cooked flavorful meat. Duck, whether roasted, braised, or shredded in stir-fries, has been a favorite of mine since childhood. It was a special-occasion food; it would make welcome appearances at birthday dinners, holiday suppers, and Chinese New Year celebrations. Thankfully, as an adult, I no longer have to wait weeks on end for my mom to bust out my favorite bird. I’m a big girl (a.k.a. 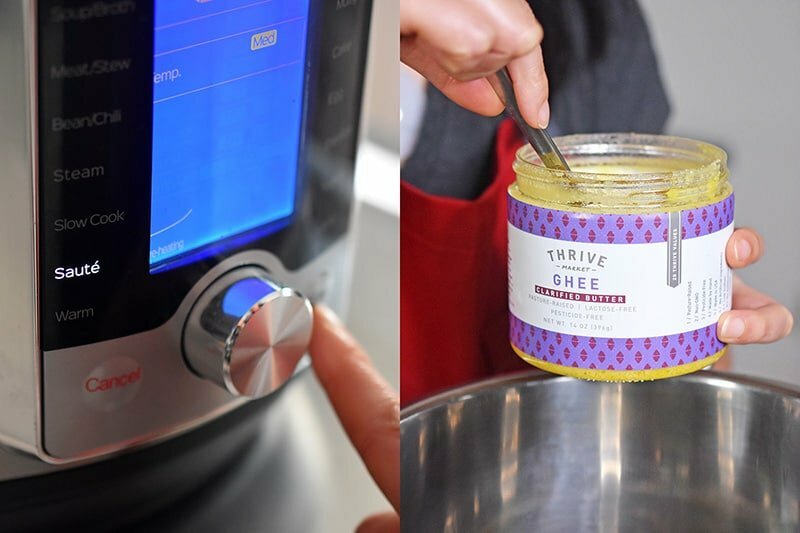 old lady) now, so I can make it myself—and in an Instant Pot, no less! Of course, no electric pressure cooker has the ability to crisp up duck skin like I want, so a skillet is still needed to finish the recipe for this hearty, flavor-packed Orange Duck. 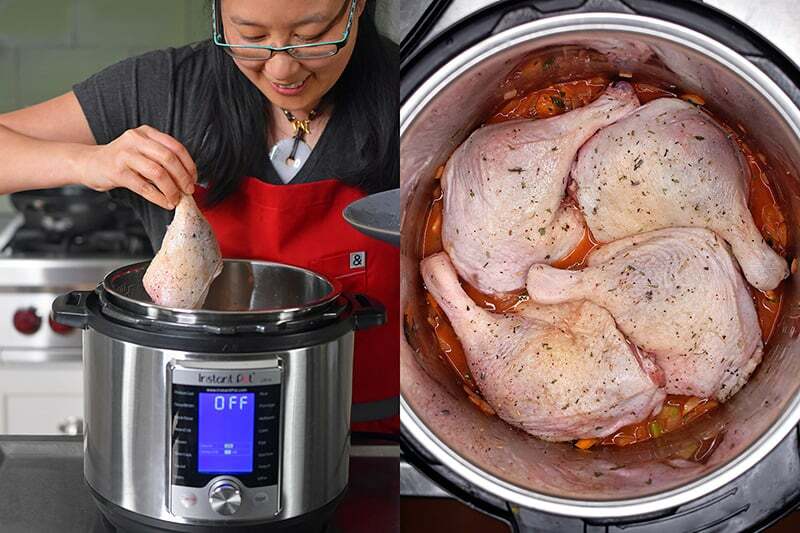 But with an Instant Pot, I can make deliciously tender duck legs in just a fraction of the usual time. And you can, too! 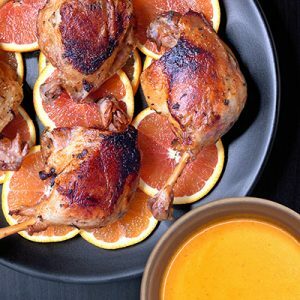 Best of all, this Orange Duck + Gravy is a perfect make-ahead recipe; just crisp up the cooked duck legs and reheat the gravy when you’re ready to serve! 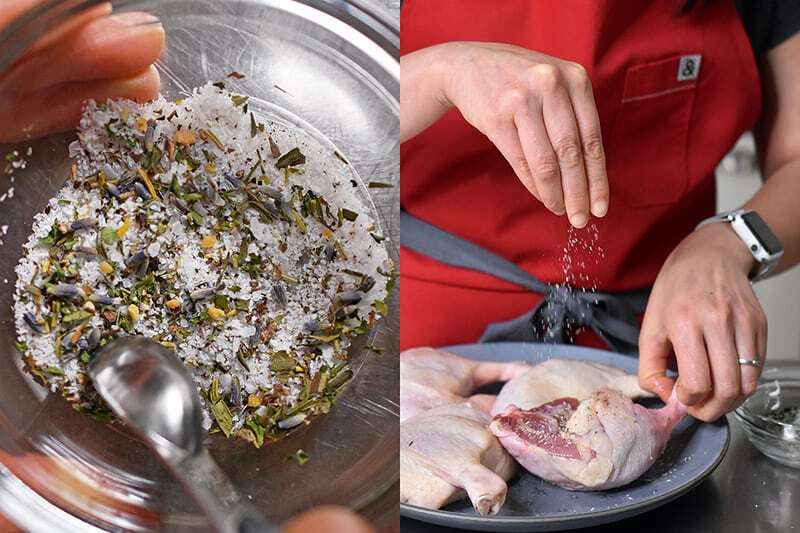 In a small bowl, combine 1½ teaspoons Diamond Crystal kosher salt (use ½ the amount of salt if you are using Morton’s brand or a fine grain salt), herbes de Provence and black pepper. Pat the duck legs dry with a paper towel and sprinkle the seasoning all over the legs. 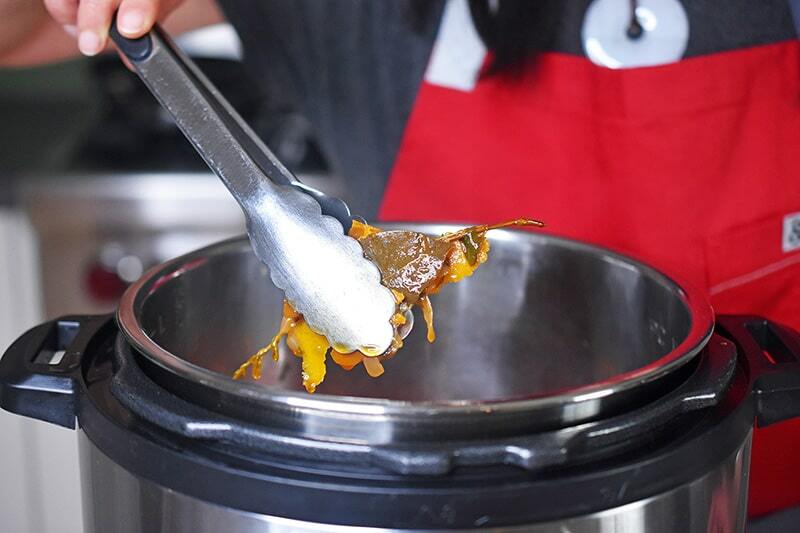 Turn on the sauté function on the Instant Pot, and add 1 tablespoon cooking fat once the insert is hot. 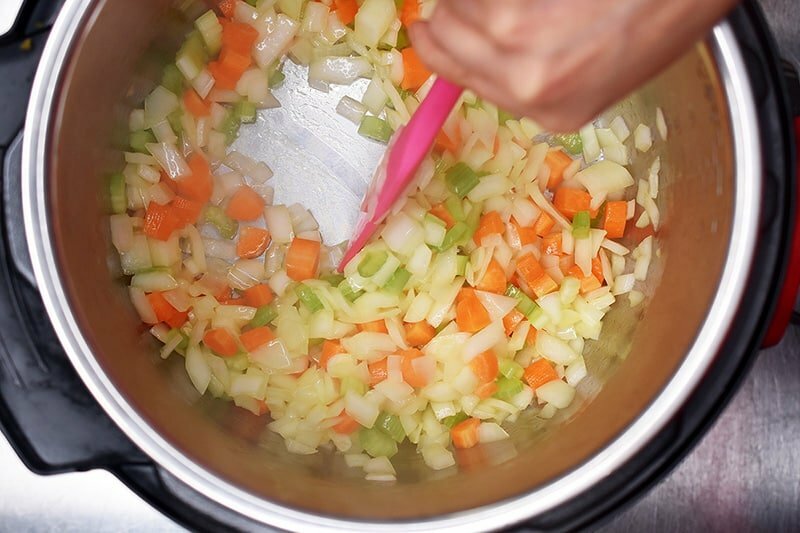 Once the fat melts, add the onions, celery, and carrots, along with ½ teaspoon kosher salt. Cook, stirring occasionally until the vegetables have softened, about 3 to 5 minutes. Toss in the garlic cloves and add the tomato paste. Cook, stirring, for 30 seconds or until fragrant. Pour in the broth, scraping up any browned bits. 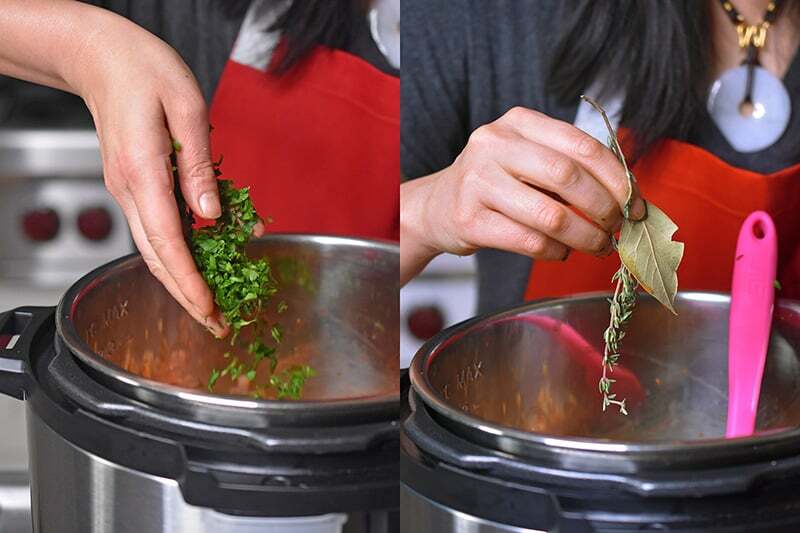 …parsley, bay leaf, and thyme. Stir well, and turn off the sauté function. 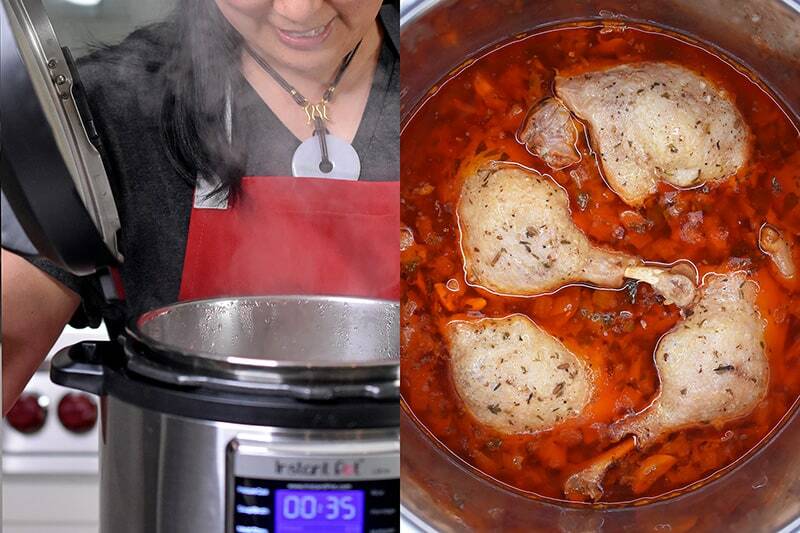 Place the seasoned duck legs skin side up in a single layer on top of the vegetables in the Instant Pot. Lock the lid and make sure the valve is pointed to the sealed position. 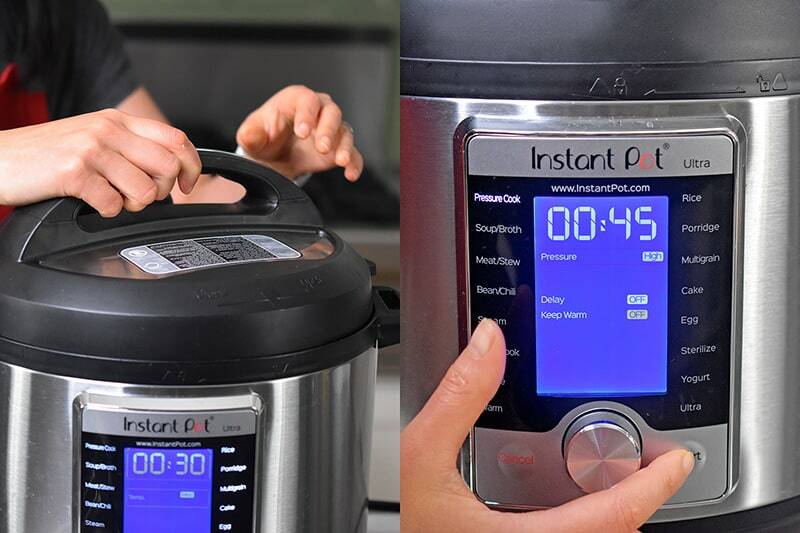 Program the Instant Pot to cook under high pressure for 45 minutes. 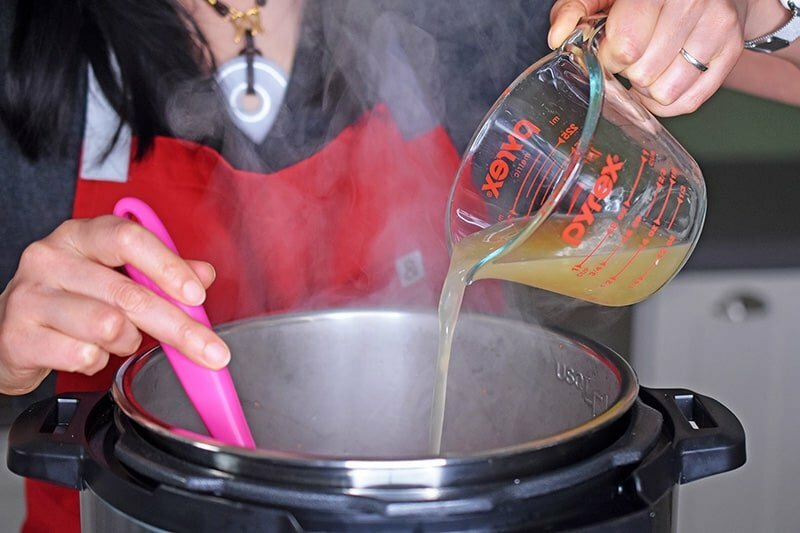 After the duck is done cooking, let the pressure drop naturally. If you’re impatient, you can manually release the pressure after 20 minutes has passed. Carefully remove the duck legs. The meat should be fork-tender, so you don’t want to manhandle the cooked legs or the legs might fall apart on you. At this point, if you’re not eating right away, you can store the duck in a sealed container in the fridge for up to 4 days. 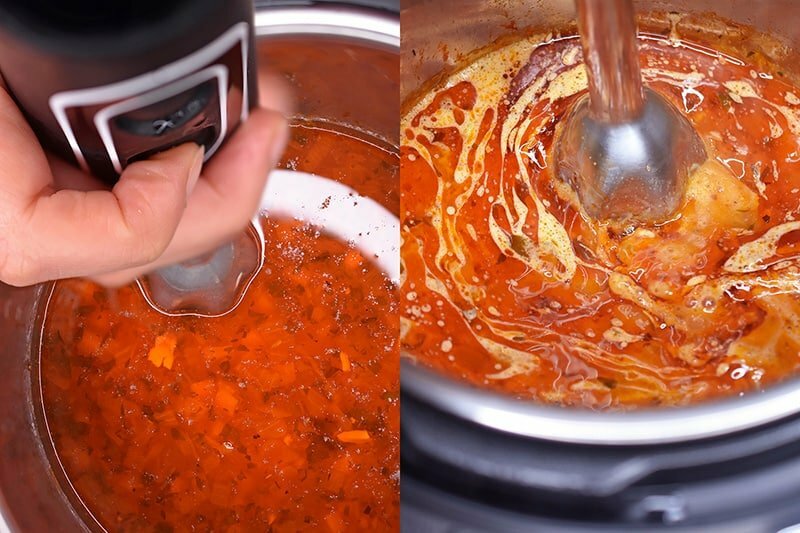 …and use an immersion blender to purée the remaining contents of the Instant Pot to make a thick gravy. Taste for seasoning and adjust with salt and pepper if needed. You’ll have tons of gravy, so freeze the extra in ice cube molds for up to 4 months. 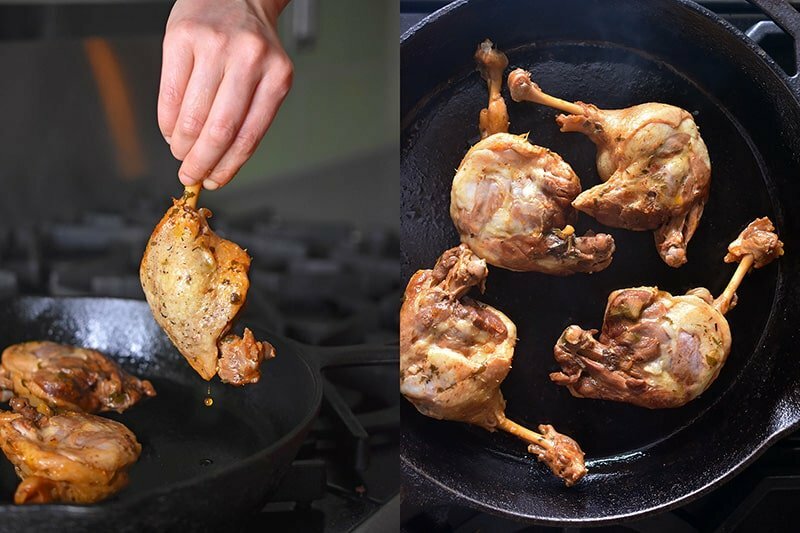 When you’re ready to cook the duck legs, pat them dry and heat a large cast iron skillet over medium-high heat. Once the pan is hot, swirl in the remaining tablespoon of fat. Add the duck legs skin-side down and fry ’em undisturbed for 2-3 minutes or until the skin is crispy and golden brown. Flip the legs over and brown on the other side. Alternatively, you can broil the duck legs (though the skin won’t be as crispy). Here’s how to do it: Arrange the oven rack in the middle position, and turn on the broiler. 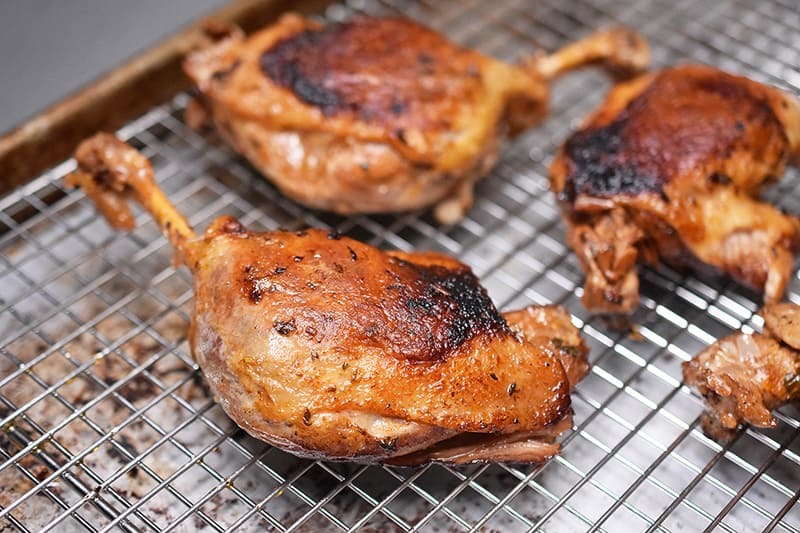 Place the duck legs on a wire rack in a rimmed baking sheet, skin side up. Broil the duck until the skin is nicely browned (5-10 minutes). Either way, don’t forget to serve the Orange Duck with the gravy! 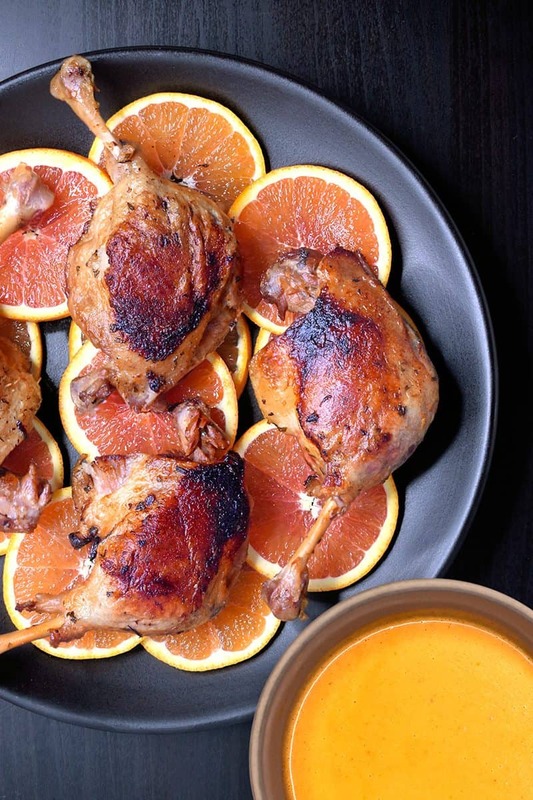 Instant Pot Orange Duck + Gravy takes just a fraction of the time it would take to roast it in the oven—and best of all, it’s a perfect make-ahead recipe; just crisp up the cooked duck legs and reheat the gravy when you’re ready to serve! 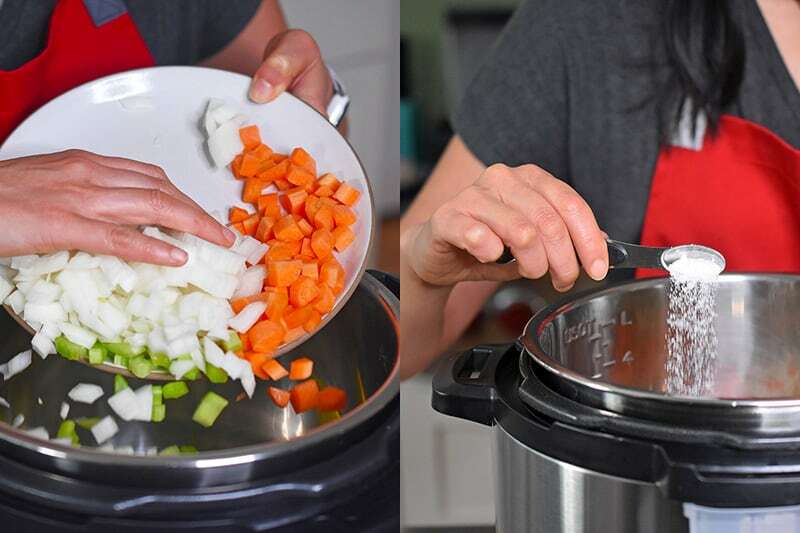 Once the fat melts, add the onions, celery, and carrots, along with ½ teaspoon kosher salt. Cook, stirring occasionally until the vegetables have softened, about 3 to 5 minutes. 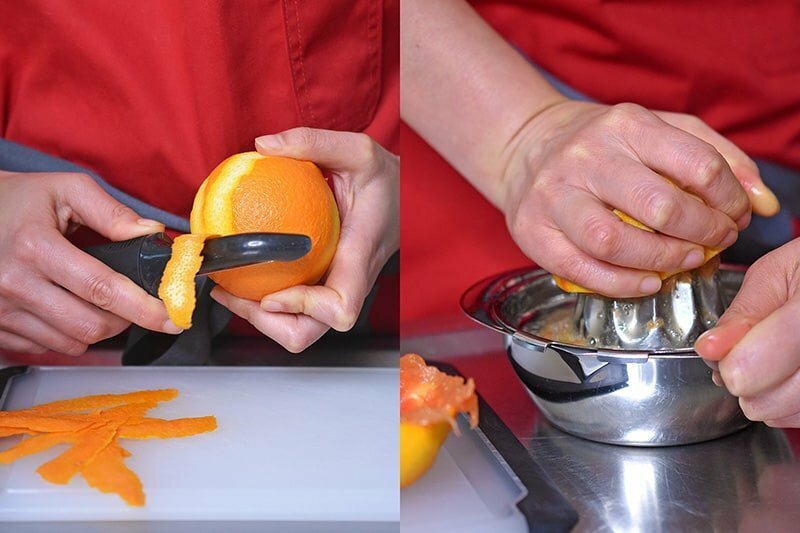 Use a vegetable peeler to peel the zest off the orange in strips, making sure you don’t peel into the bitter white pith underneath. 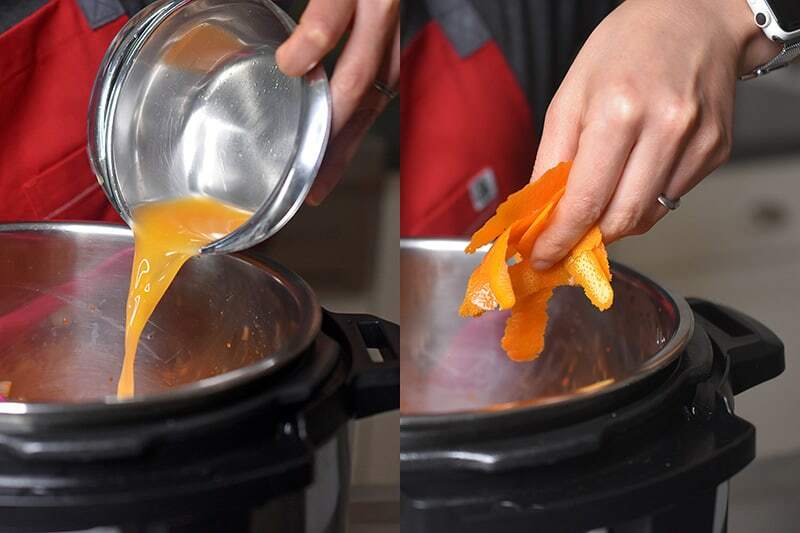 Juice the orange and add it to the Instant Pot. 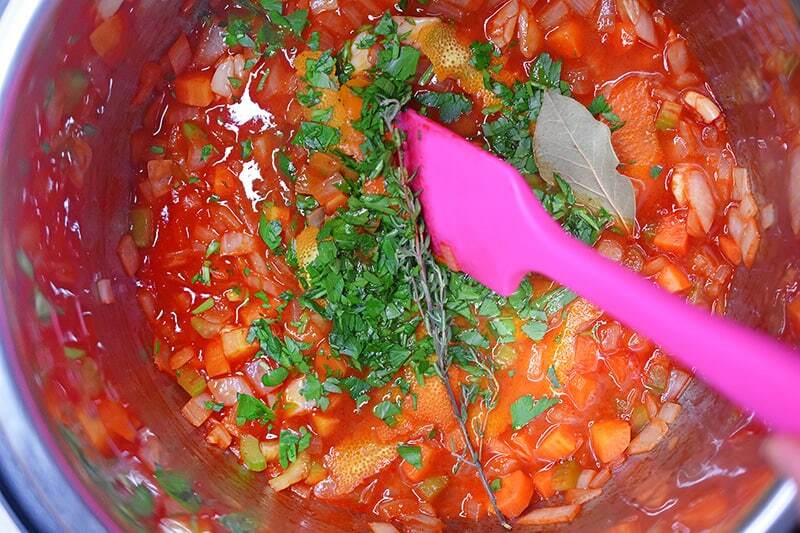 Toss in the orange zest, parsley, bay leaf, and thyme. Stir well, and turn off the sauté function. 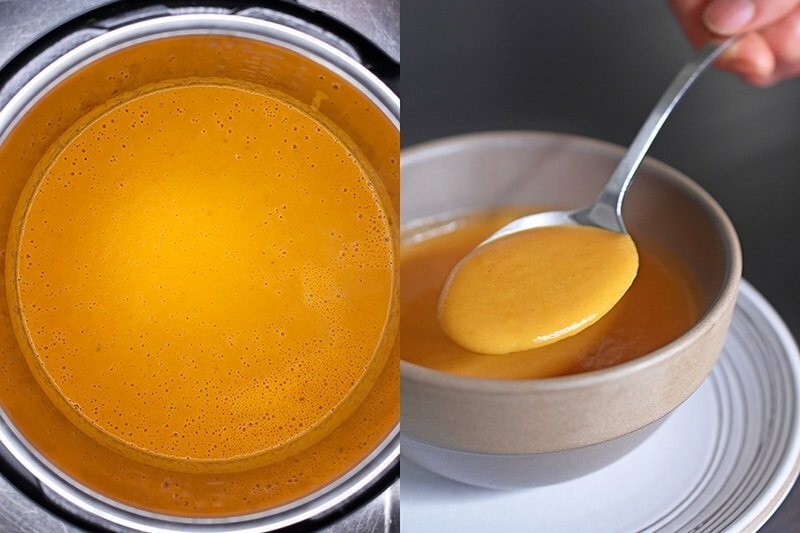 Discard the thyme sprig, bay leaf, and orange zest and use an immersion blender to purée the remaining contents of the Instant Pot to make a thick gravy. Taste for seasoning and adjust with salt and pepper if needed. You’ll have tons of gravy, so freeze the extra in ice cube molds for up to 4 months. Don't discard the extra gravy! 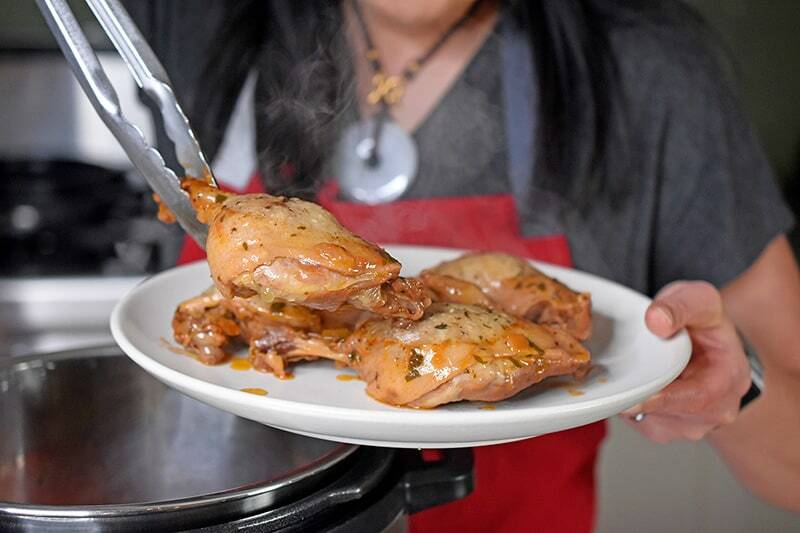 I use it as a braising sauce for chicken thighs—simply salt and pepper boneless and skinless chicken thighs and toss them in the Instant Pot with 1 cup of gravy. Cook for 10 minutes under high pressure. You can make this dish in a slow cooker by cooking steps 1-5 in a large skillet. 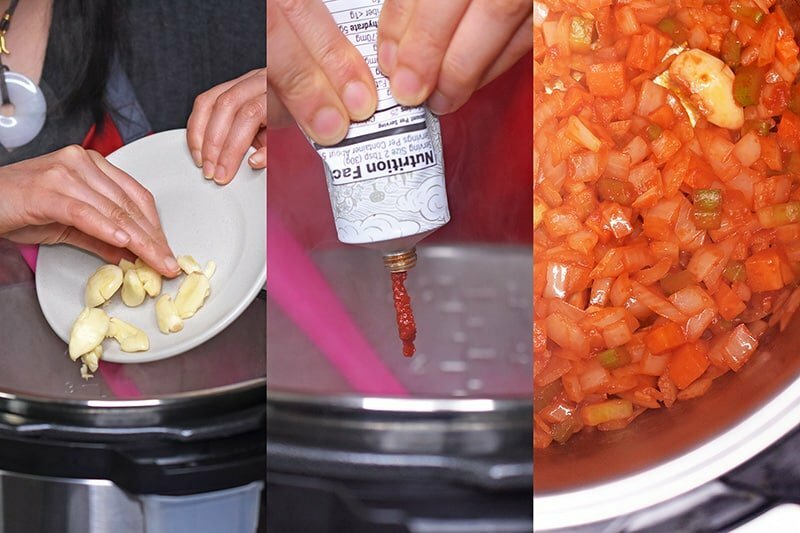 Then, transfer everything to your slow cooker and in step 8 you should program your slow cooker to cook on low for 8 hours.